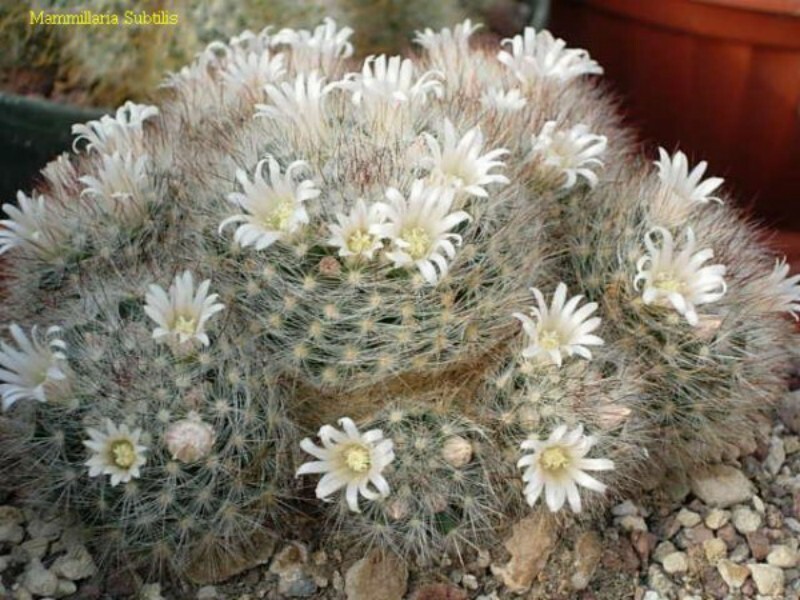 Nome completo : Cactaceae Mammillaria subtilis Backeb. Pubblicazione in Cact. Journ. Brit. xii. 81 (1950).